This book talks about doctrine, cross, glory. In this letter Paul confronts dreadful issues of sorrow and hurt, emerging with a clearer picture of what it meant that Jesus himself suffered for us and rose in triumph. The letter itself moves through tragedy and from there leads into the sunlight. 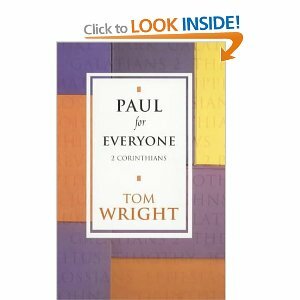 Tom Wright brings out the emotion and the sense of the letter with his highly readable translation and insightful comments.